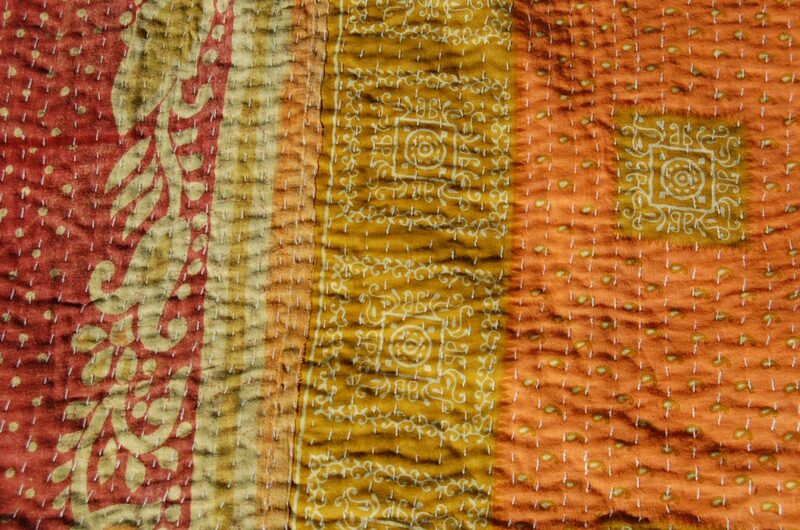 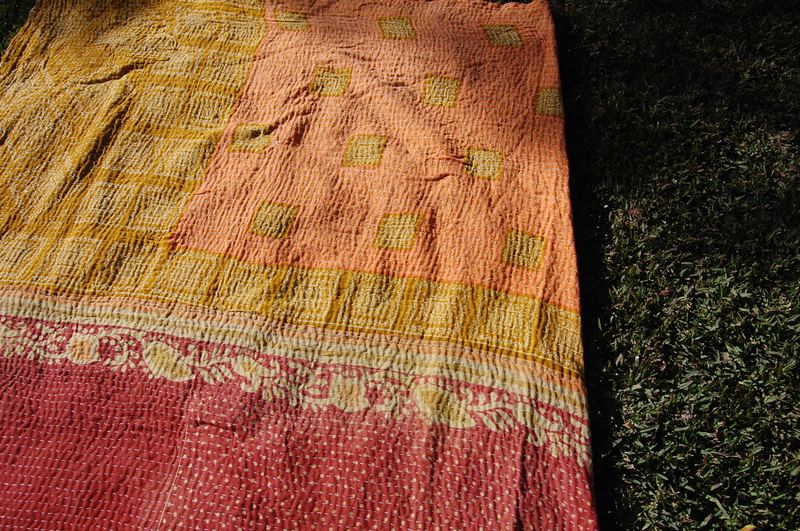 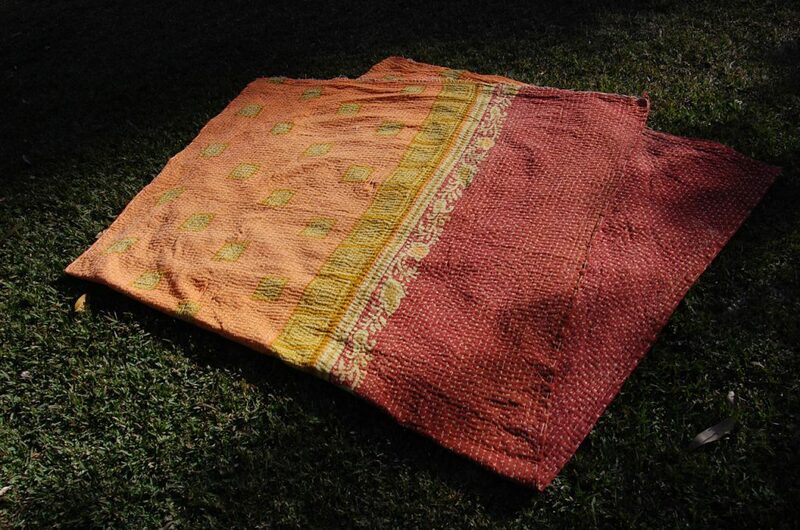 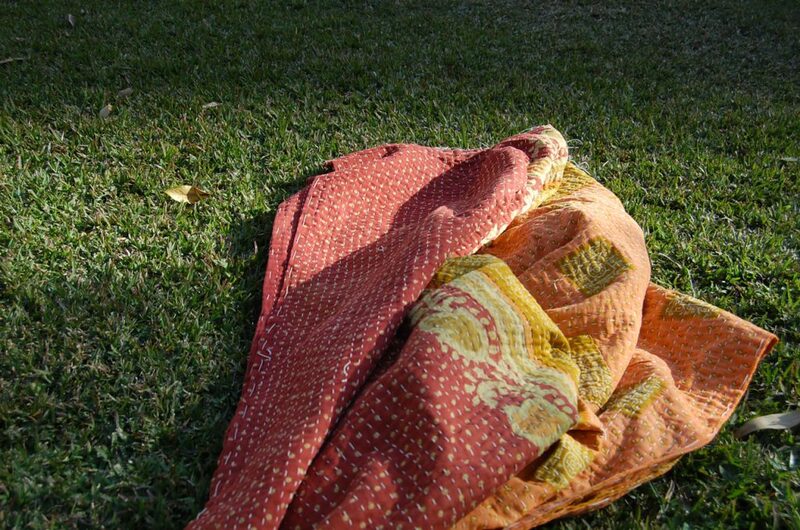 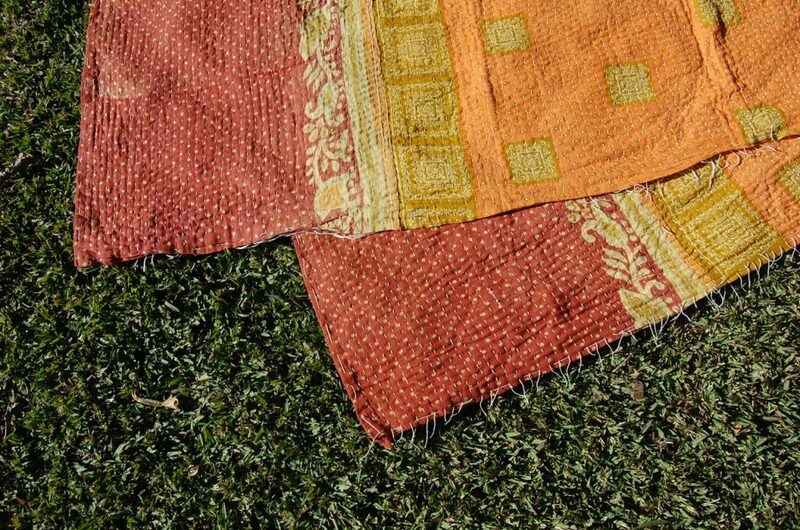 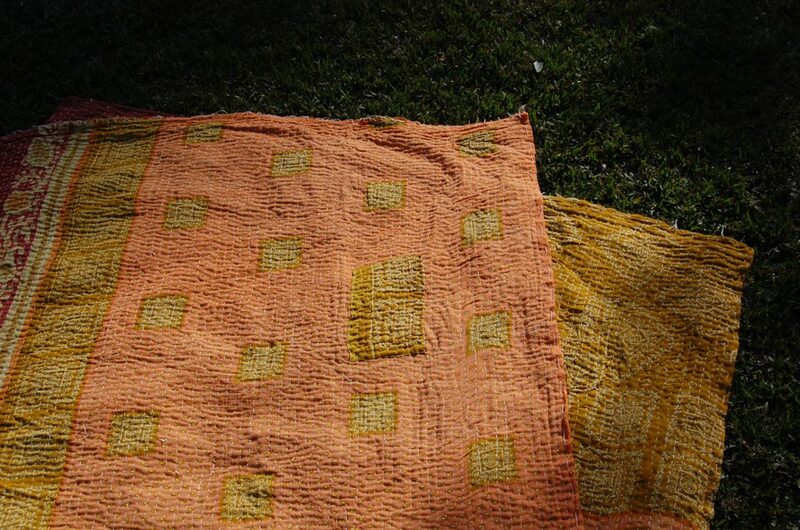 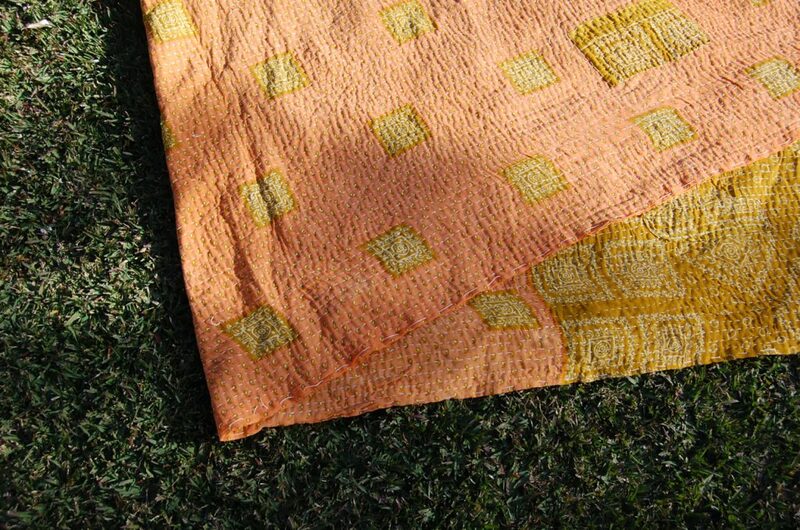 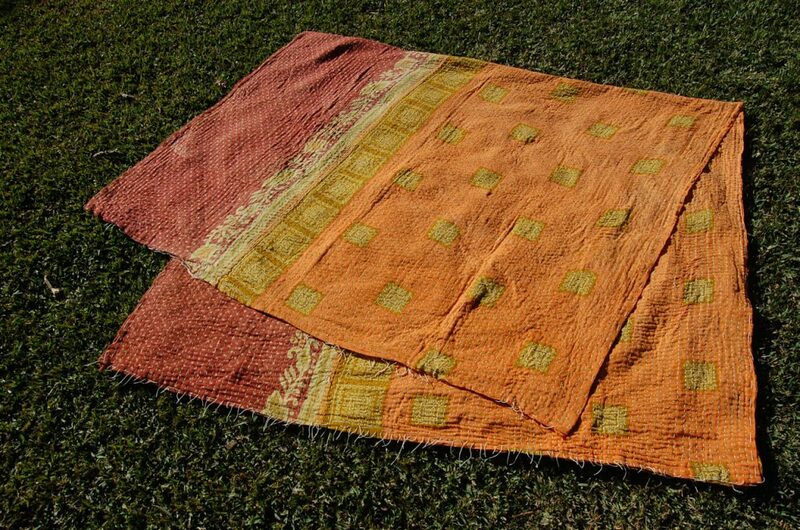 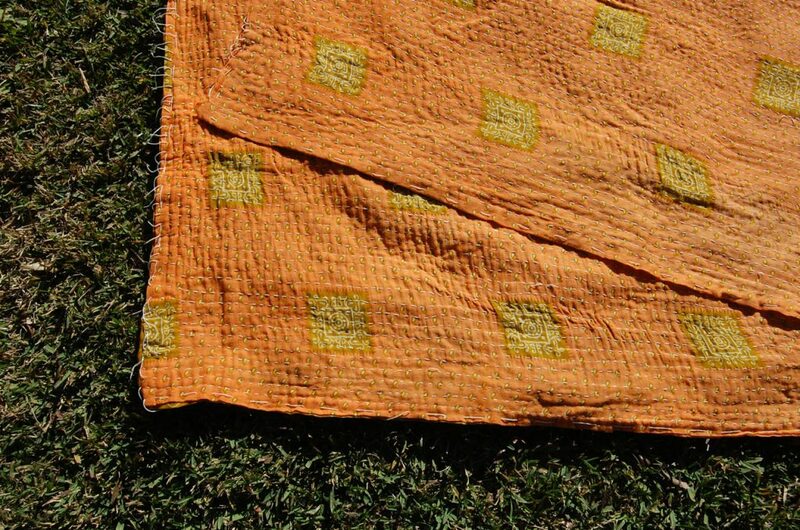 The rich, saturated colour of this light weight kantha throw is vibrant like a freshly-picked peach or a winter sunset. 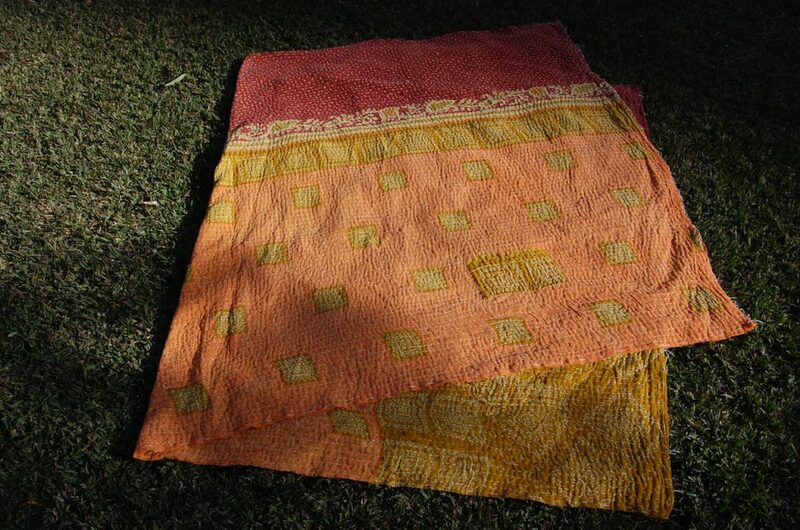 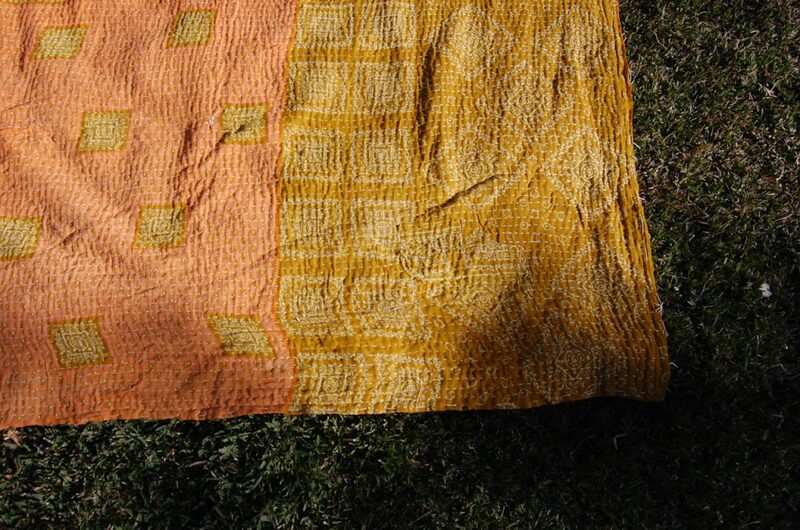 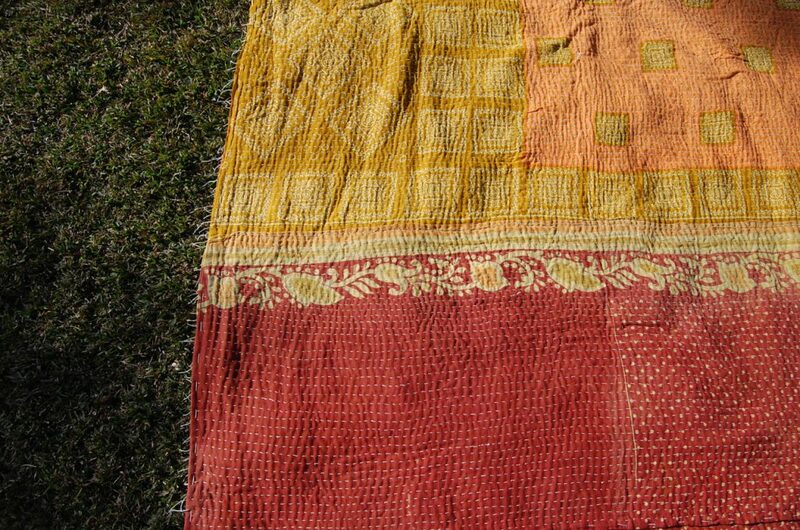 The colour combination of gold, mustard, sunset peach and reddish-brown are a unique bunch and the simplicity of the quilt’s design make it something really special. 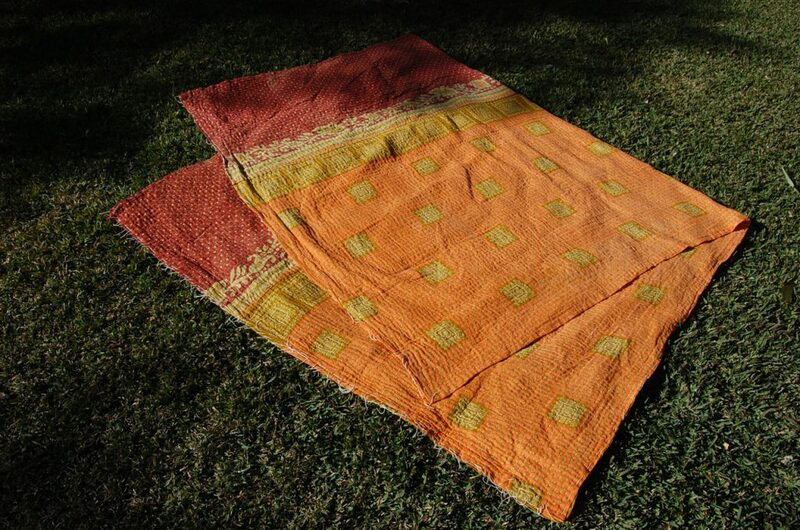 These cotton quilted throws are vintage, handmade and fair trade kantha quilts you won’t find anywhere else, as each is unique and a one-of-a-kind piece.